Generally speaking, moving a house can be a great event in one’s life – but it can also be a great source of pressure as well. If you are like the vast majority of the people out there, you know that moving a house (even if you are moving in a far better place) is stressful and that it comes with the pressure of making sure that every single thing is in its right place from how you leave your old house to the paperwork involved in moving and to the actual removals as well. Here at Moving Service, we want you to be genuinely satisfied with how your moving to Emerson Park, RM11 went and we want to help you. Our lorries, moving vans and movers are gladly waiting for you to call us on 020 8746 4402 and to provide us with more details about your situation. Together, we will assess just what kind of service you need and how we can help. We will bring in as many movers as you want and we will select a removal vehicle that is appropriate for your home’s size. Even more than that, we will help you with a smile on our faces. If you go East of London and about 15 miles from Charring Cross, you will find a small residential settlement that has come to be known as the Emerson Park. Part of the London Borough of Havering, this suburban settlement mixes Victorian, Edwardian and contemporary architectural style – but somehow manages to “pull it off”. The original development of the area is connected very much to the railways passing through and although most of the houses here were Victorian and Edwardian, new houses have been built meanwhile. There are many types of property here, including detached houses (standing on plots of 0.5 acres and above). The small-town feeling provides residents with relaxation and peace of mind – which is actually why so many choose to move in the area. Aside from that though, the area can provide one with almost everything necessary for a nice, decent life – one of the main reasons its residents love it so much. Finding a removals company in Emerson Park, RM11 is definitely not difficult. What is difficult though is finding someone you can truly trust and rely on and who will do everything in a nice and friendly manner. From the moment you call Moving Service on 020 8746 4402, you will realize we are “the ones” – those people who will help you move all of your personal belongings in a safe and easy way. 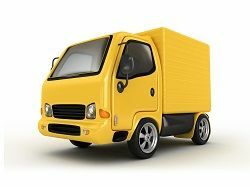 Aside from the fact that we can come with our own man with a van or a removal van, we can also help our clients with other services, too. For instance, if you need packaging materials to make sure your possessions are properly organized for the removals, you simply need to contact us and we will deliver them to you. Also, if you need us to clean the packaging materials left behind at the “old place”, we can help you with that as well. We also provide packing and unpacking services around Emerson Park, which is absolutely excellent especially for those of you who want to be sure that their items are properly packed and safe to deliver. We love what we do and we respect our customers and clients and this pushes us to providing the best service possible. We do local, national and international transportation in RM11 areas no matter where you come from or where you are going to move, we can help. All it takes is a phone call and our friendly representatives will provide you with every bit of information you need to make a decision – and this includes a free quote over the phone or e -mail as well.